"On the ride up to the sixth floor I examined my reflection in the tinted mirrors of the elevator. My lips were red, raw and full from the heavy kisses. I could still taste him. I looked into my eyes trying to figure out who this new woman was." pg. 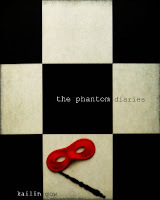 110, The Phantom Diaries by Kailin Gow. This week, rather than grab the book I was currently reading, I found my teaser in the book that just arrived in the mail. 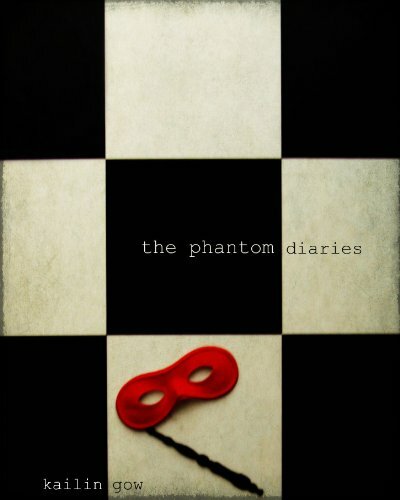 Be sure to look for my review of The Phantom Diaries in the near future. Ohhh wow! Intense! Great teaser. Sounds pretty steamy! Terrific teaser! Sounds like someone just got up to something...unexpected. Great teaser! I am a big fan of The Phantom of the Opera so you have definitely caught my attention with this teaser. I will most certainly be anticipating your review and author interview. That is a great teaser! It sounds like a great book! Wow, I love it! I think we all feel like new women when something like that happens...! Here is my Teaser Tuesday! Aw, sounds sweet and intense at the same time. Innnnteresting. LOVE the cover. :) Thanks for visiting The Crowded Leaf. Ooo, good one. Sounds like a great read. Thanks for sharing the teaser and for stopping by my blog today. Excellent teaser! Thanks for popping by today! oh wow I'm going to have to add this to my goodreads pile ;) Love this one here is my Teaser! wow! I'll keep an eye out for your review about this one. A phantom kisser who make you question who you are, Where do I sign up. Great teaser. Wow, very interesting! Sounds like a good book! Wow, great teaser! I can just picture it! This sounds good! New author for me, but will check out the book. Oh, I like that! I'd not heard of this book or author before. I'll look for your review! Thanks for stopping by Let Them Read Books today! Very descriptive and intriguing teaser today, thanks for stopping by mine E J. WOW!!! Awesome teaser. This book sounds amazing just from that teaser. Great teaser! I love the cover. I've been noticing that there are a lot of books that have "diaries" in the title. Interesting. Hmmm...this one sounds as if it could get a bit heated. Wow...that's quite a steamy teaser. I do want to know more. Thanks for stopping by my blog. Great teaser. Sounds like the character is growing, and in love. :) I have not heard of this book until now. Thanks. I so like the sound of this teaser!! !